Italy has got an edge over other European nations by signing up first to China’s “Belt and Road Initiative” and it may be making some of them “jealous”, the Italian politician who pushed for his country’s involvement said on Tuesday. Michele Geraci, undersecretary of state at the Italian Ministry of Economic Development, said at least two other European countries were expected to follow Italy, which last week became the first G7 nation to sign a memorandum of understanding (MOU) on the transcontinental infrastructure initiative with China. Italy agreed to join the initiative while it hosted a visit by Chinese President Xi Jinping, despite warnings by the United States and some European countries that it risked being a debt trap with questionable infrastructure project standards. Washington has branded the belt and road scheme a “vanity project”. “When we were criticised – me personally, also – for taking care of all of this over the last few months, it’s because we … want to lead, and leading means doing things first,” Geraci said. The MOU highlighted the signing of 29 China-Italy cooperation agreements. It came on the heels of the European Union’s unveiling of a 10-point plan aimed at rebalancing the bloc’s Beijing policy and ahead of the EU-China summit to be held in Brussels on April 9. Geraci, who led Italy’s negotiations on the MOU, told the South China Morning Post on the Boao Forum’s sidelines that the signing reflected the government’s embrace of an “Italy first” strategy, despite concerns about the move expressed broadly and to Geraci personally by the US and EU. “The US was not very happy” with Italy’s move, Geraci said. Rome, he added, had listened to the EU and US and cooperated where it could, but ultimately made its own decisions. “We did what we think is in the interest of our country,” the Italian trade and investment tsar said. Geraci said signing up would spur economic growth in a country that slipped into a recession last year at time when the other euro-zone economies are all expanding. Italy’s populist government is shouldering a staggering amount of debt – around 132.1 per cent of its GDP – which the EU has warned poses a risk to other economies in the region. In particular, Italy – which is battling big companies from Germany and other nations – hoped to gain better access to China’s markets for its small and medium enterprises, he said. He suggested the outcry from other European nations against Italy joining the belt and road plan could have been tied to the competition for business with China – and the perceived setback Italy’s MOU handed its rivals. “If Italy wants to be the terminal of China’s Silk Road, of course that affects Hamburg, Rotterdam, Marseilles,” Geraci said, listing major European port cities. 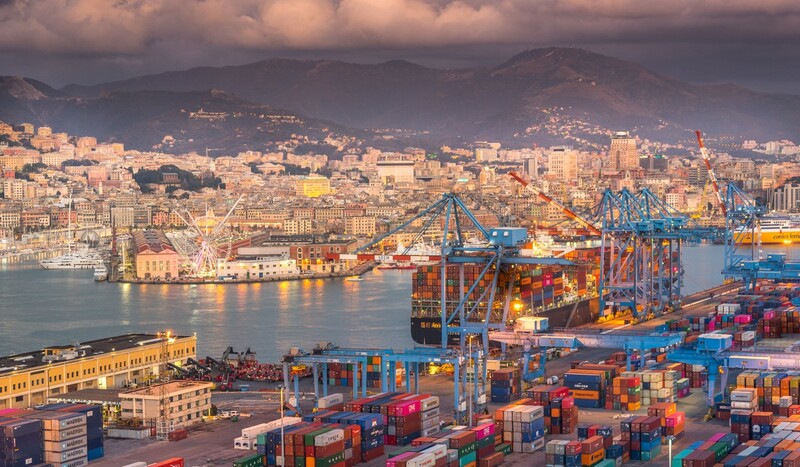 China has become a big player in the port business as it builds its new Maritime Silk Road, connecting China to Europe via Southeast Asia and the Arabian peninsula. 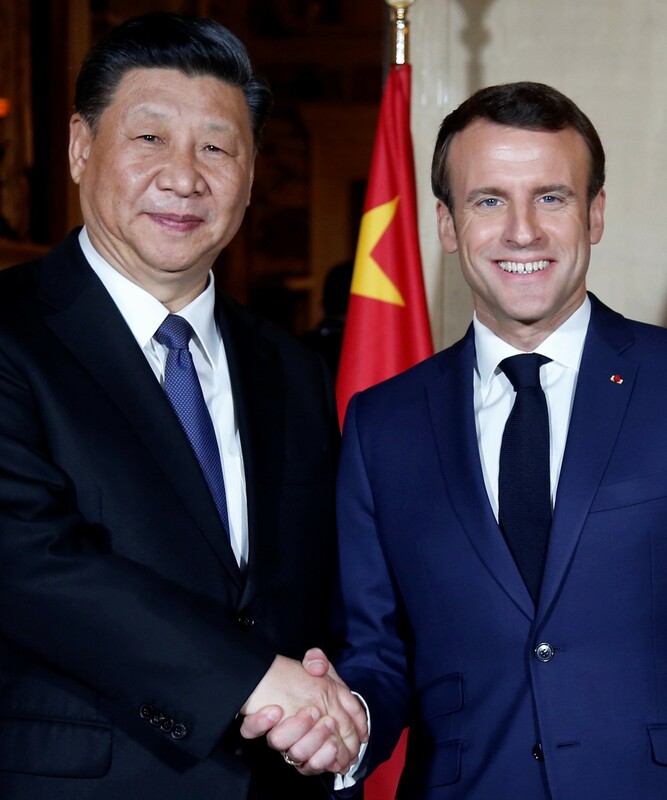 Despite growing scepticism about the belt and road plan, European leaders on Tuesday indicated they remained open to joining Beijing’s initiative. Geraci said the outside criticism of Italy’s pending deal with Beijing helped make Rome “even more alert” about signing the MOU. Italy, he said, preferred China making greenfield investments in Italy to it taking over Italian companies through mergers and acquisitions. Rather than warning about the risks of Italy falling into a debt trap, Geraci suggested Washington should worry about China’s status as the largest foreign holder of US debt, with US$1.13 trillion in US Treasury bills, notes and bonds. By the same token, Geraci said, European countries should be wary of Chinese enterprises that have held substantial stakes in major European companies. “We are very aware – we don’t need the European Union to tell us [about the risks of getting too indebted to China],” he said. While critics have warned that Italy’s move will compromise Europe’s united front against China, Geraci insisted there were no divisions in the bloc. “Little by little, more countries will sign. Europe is united,” said Geraci, a fluent Chinese speaker who taught in China for about a decade. “They will be encouraged when they see this is positive and there is no risk. The Silk Road is already there. It’s in Germany with the train, and the Chinese have invested in many ports and companies, so what is it that divides us?” he said referring to a new freight train service from China’s Hebei province to Duisburg in Germany. Geraci also said Italy wanted to cooperate with China on its “Made in China 2025” (MIC2025) programme, a state-led plan to develop hi-tech sectors. Italy, he said, was “almost best of the world” in all 10 key sectors under the scheme, including green energy, space and artificial intelligence. MIC2025 became a flashpoint in the US-China trade war as the administration of US President Donald Trump portrayed it as posing a potential security threat to the US. Beijing has since toned down promotion and discussion of the programme. But Geraci suggested that China and Italy could work together to bring MIC2025 to fruition in regions such as Africa and the Middle East. “We can be a competitor with China but we also can cooperate because China has the size, and we have the know-how and quality,” he said.